Courtesy of Rob Hart Arrupe College, a two-year associate's degree program for students who cannot afford college, celebrated the graduation of its first class of 159 students on Aug. 12. Loyola received a $6 million donation Aug. 7 to fund scholarships for undocumented students of Arrupe College. Loyola alumnus John G. Schreiber and his wife Kathy made the donation to Arrupe to provide scholarships for students who attend the college’s two-year associate’s degree program, and those who graduate from the college and go on to attend Loyola. The scholarships will be given to a total of 75 students over six years, and will go to undocumented students who don’t qualify for financial aid from the government because of their immigration status. Funds will also be given to 15 students who continue from Arrupe to Loyola each year through 2023. 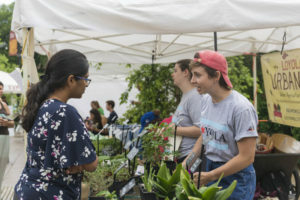 “This new philanthropic support for students in Arrupe College will enable talented students, many of whom are the first in their families to pursue a higher education degree, to reach their fullest potential and become persons for others,” Loyola President Jo Ann Rooney said in a press release. The Schreibers have been prominent Loyola donors throughout the years. In 2008, they provided $500,000 in scholarships for Loyola students from Lake County, and in 2014, they donated $10 million to Loyola’s Quinlan School of Business. In turn, the 10-story building home to the business school was named the John and Kathy Schreiber Center when it opened Sept. 15, 2015. When second-year social and behavioral sciences major Angelica Costello was looking for colleges in 2015, she struggled to find a good school that was affordable. When her high school counselor told her to look into Arrupe, she said it changed her life. Arrupe College opened in 2015 and is a two-year associate’s degree program for students with limited financial means looking to attend a four-year institution after they graduate. On Aug. 12, members of Arrupe’s first graduating class of 159 students graduated. There are more than 150 undocumented students at Loyola and Arrupe, most of whom qualify for the Deferred Action for Childhood Arrivals (DACA), an Obama-era policy that prevents undocumented people who were brought to the United States as children from being deported if they attend school or serve in the military. Loyola has taken a number of steps to help make it easier for undocumented students to pursue higher education. 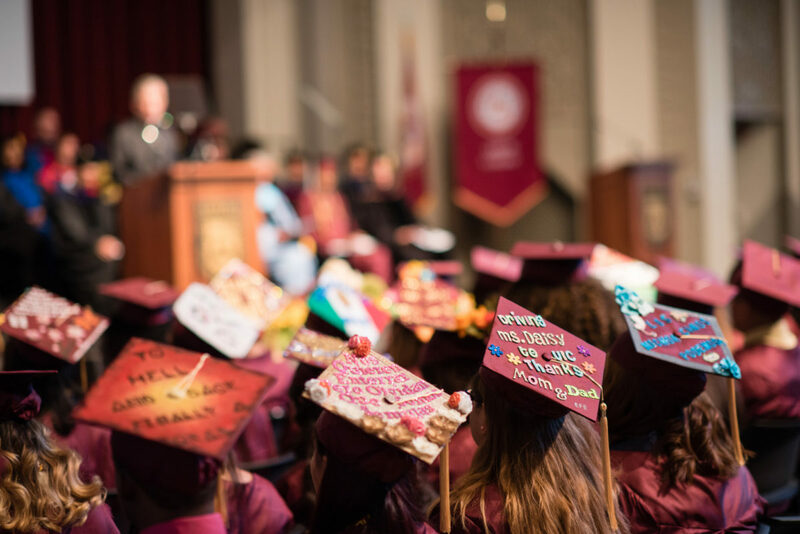 In 2014, the Loyola student body voted to add a $2.50 fee to each student’s tuition to help create the Magis Scholarship Fund, which provides full tuition to five undocumented students per year. On Nov. 30, Rooney signed a statement of support published by the Association of Jesuit Colleges and Universities (AJCU), stating the university’s commitment to its undocumented student population.